LOUISVILLE, Ky. - Dometic used the backdrop of the International BoatBuilders&apos; Exhibition & Conference to celebrate its coming move from Elkhart, Ind., to Louisville. People crowded into Dometic&apos;s booth late Wednesday afternoon to commemorate the move of its headquarters for the Americas with a cocktail reception. 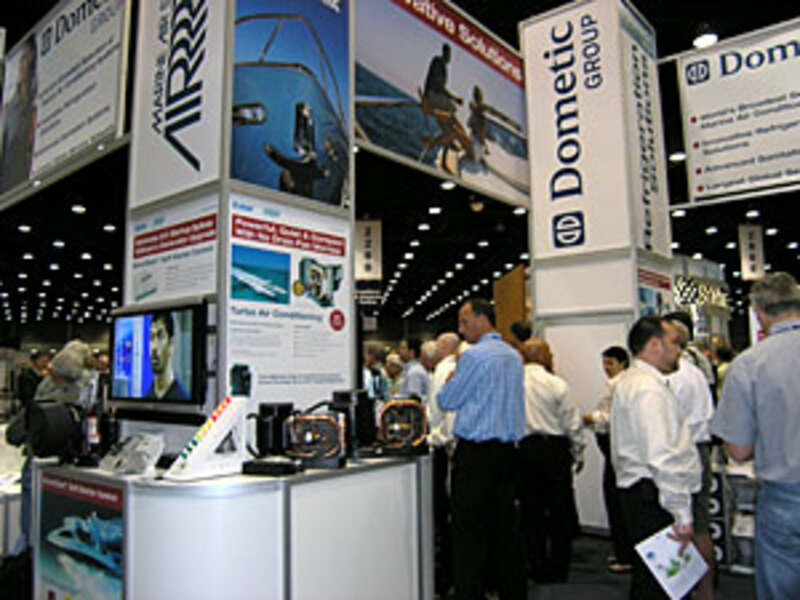 Dometic Marine will remain at its Florida location and the company will retain manufacturing facilities in Indiana, including one in Elkhart, Dometic president Doug Whyte told Soundings Trade Only. The move, he said, will consolidate the company&apos;s sales, marketing and financial functions in one location. "Louisville had the right balance of the key things we needed," Whyte told Sounding Trade Only during the party. "It&apos;s a very good city from a quality-of-life point of view. Our people can be involved in the community, give back to the community." About 100 people will work at the new headquarters, which should open by the end of the year. The company will phase in functions during the next year to year and a half, Whyte said. "Kentucky is fast becoming the top choice location for many corporate headquarters operations and the relocation of Dometic&apos;s Americas corporate office is yet another success to celebrate," Kentucky Gov. Steve Beshear said when the move was first announced. "The creation of nearly 100 new high-paying jobs and an investment of more than $4.1 million will provide a significant economic boost to the region. It is the very reason why it is so important for state and local governments to partner with the private sector to bring these opportunities to fruition." The Kentucky Economic Development Finance Authority gave preliminary approval to Dometic Corp. for tax incentives of as much as $3 million through the Kentucky Business Investment program. The incentives can be earned during a 10-year period through corporate income tax credits and wage assessments.